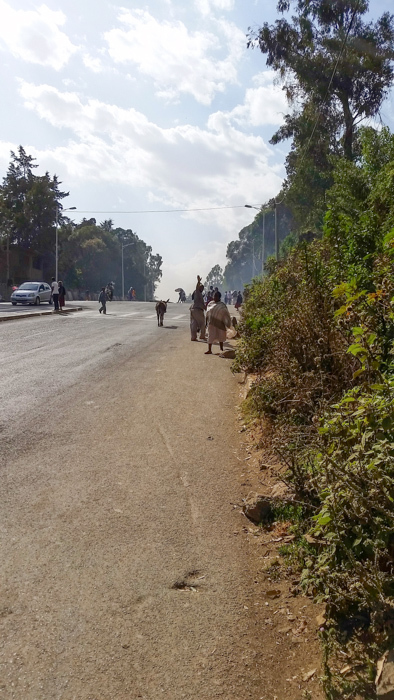 Since tomorrow begins a very lengthy and full 14 days on the road through northern Ethiopa I decided that today I would spend a lot of time walking the streets of Addis Abba. 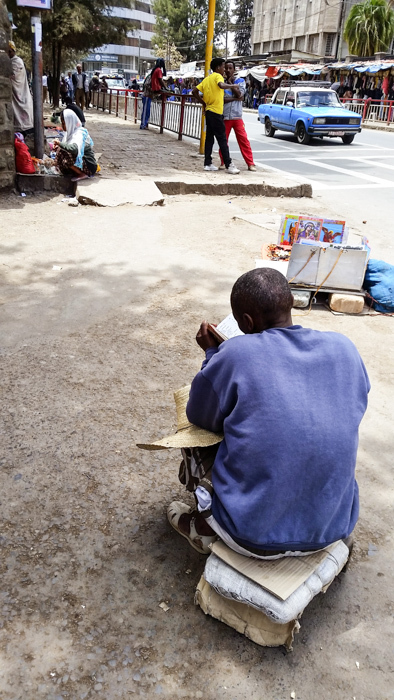 If I allowed myself to get lost I knew I would be found by Ethiopians who have a keen sense of reaching out to strangers and making them welcomed. 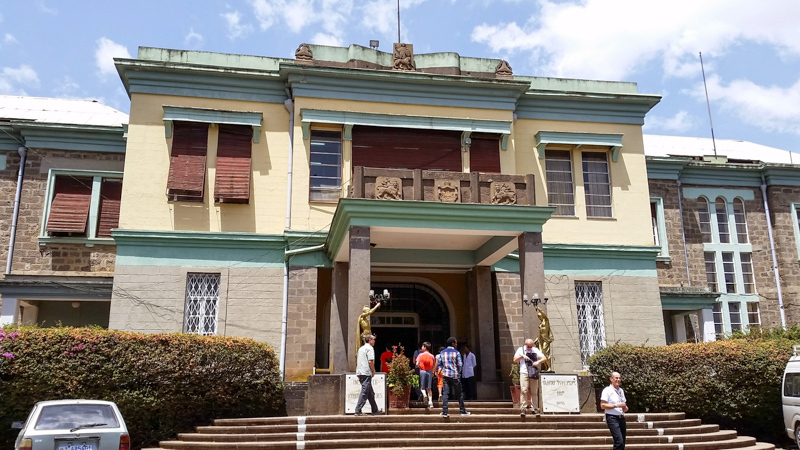 I ordered a metered cab to take me to the Ethnological Museum which is on the grounds of the University of Addis. 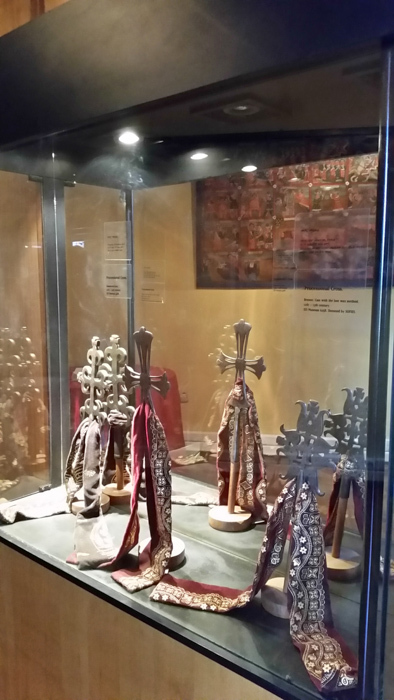 The museum is housed in the former palace of the Emperor Haile Selassie who was deposed in 1974. 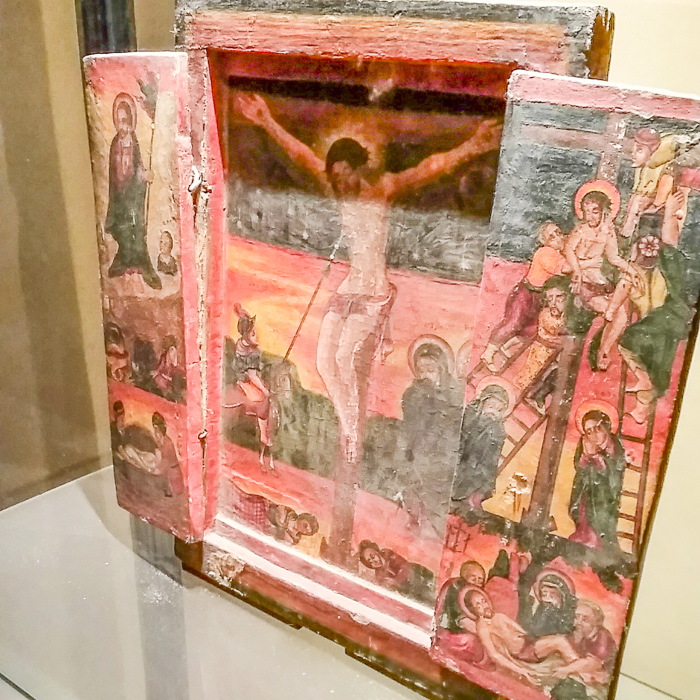 The museum preserves his bedroom and study. 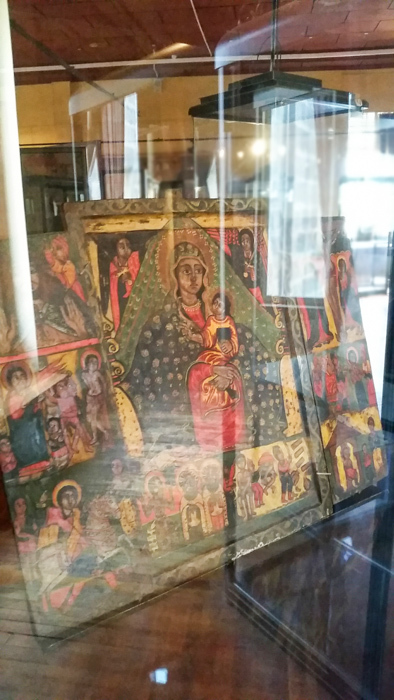 The museum houses a wonderful collection of Ethiopian religious art. 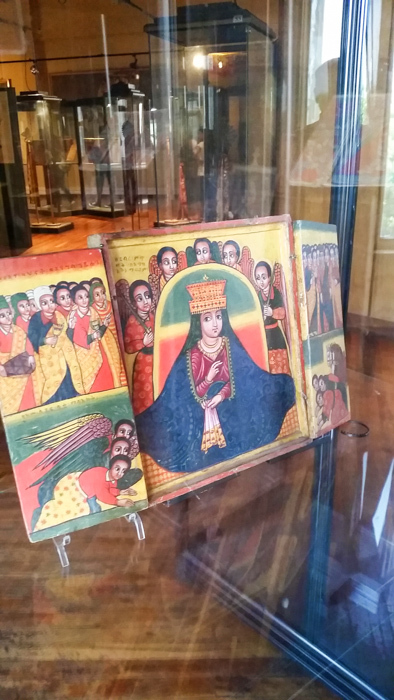 When you enter the palace there is an exhibition about the history of the palace and the career and accomplishments of Emperor Haile Selassie. 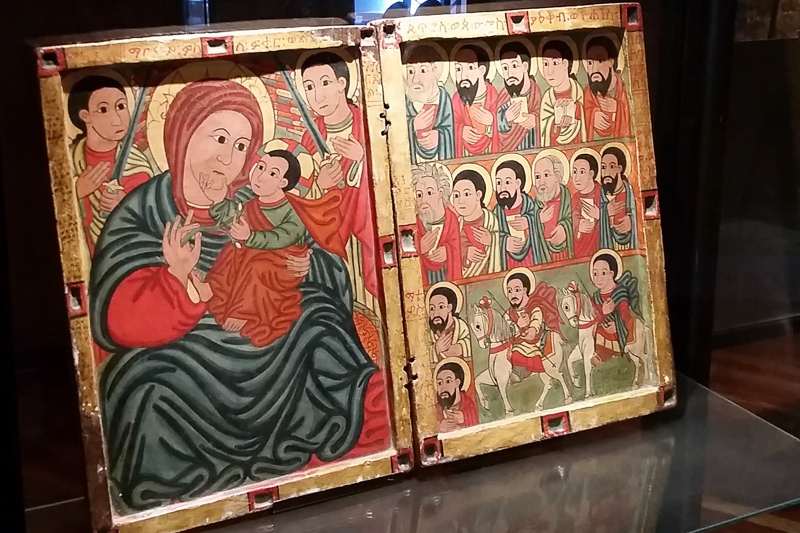 The Center for Ethiopic Studies has set up an exhibit of the history of the development of religious art in Ethiopia. 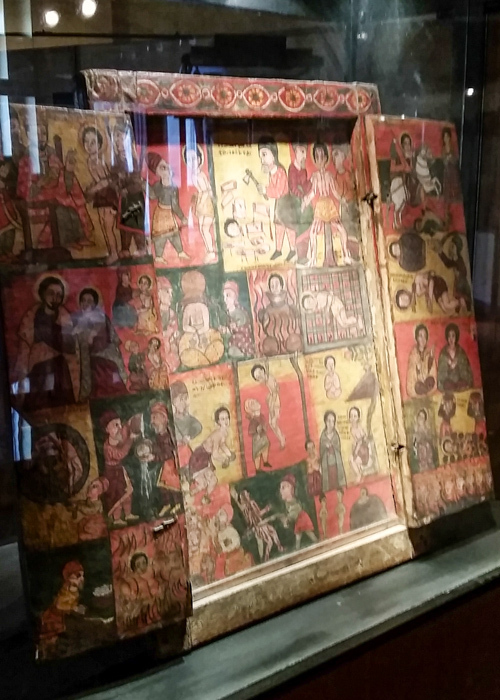 The icons and crosses and liturgical musical instruments are organized and explained so beautifully. 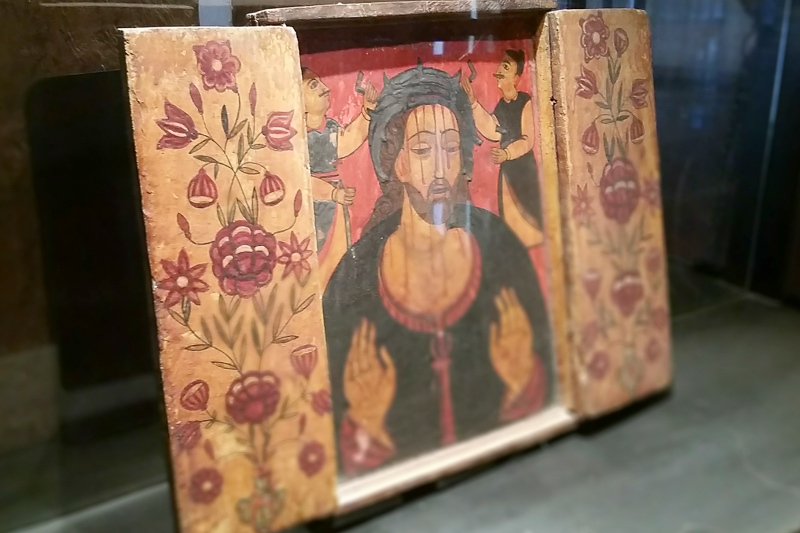 The collection is a treasure trove of icons. From the museum I decided to walk to the National Museum absorbing the sights and sounds of street life. 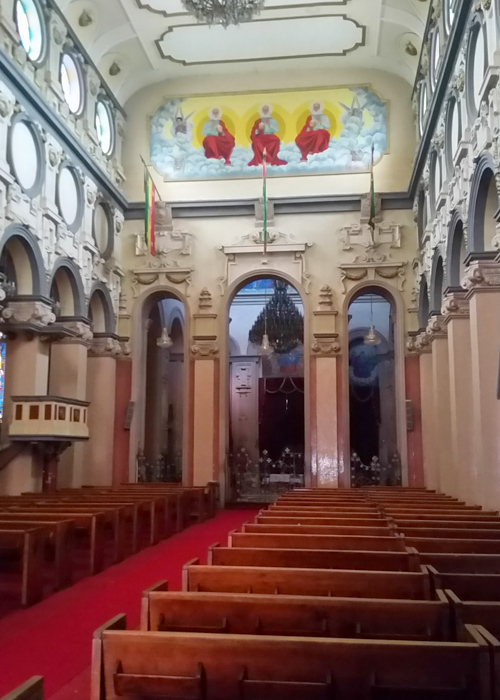 I decided to visit an Ethiopian Orthodox church. Mass was beginning and I noticed that you must remove your shoes before entering the church. 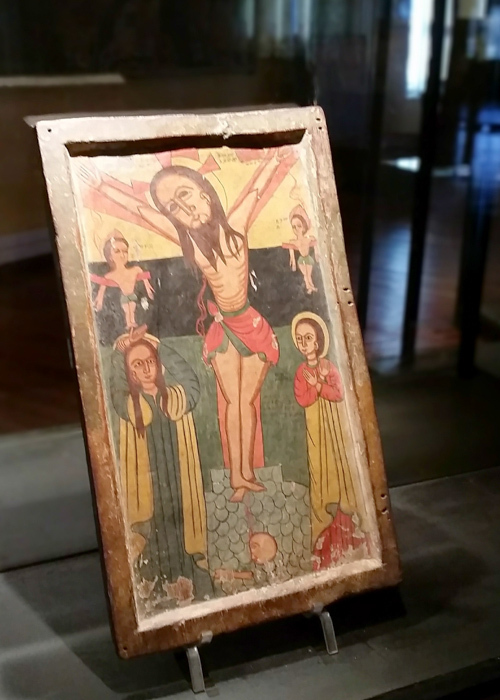 We often associate this with Islamic practice however this early Christian practice is preserved in the Ethiopian church today. People stand around the courtyard some even in bare feet and chant the Mass because the Mass is broadcasted into the courtyard and even in the streets so people are participating at the walls surrounding the courtyard as you can see from the photos. 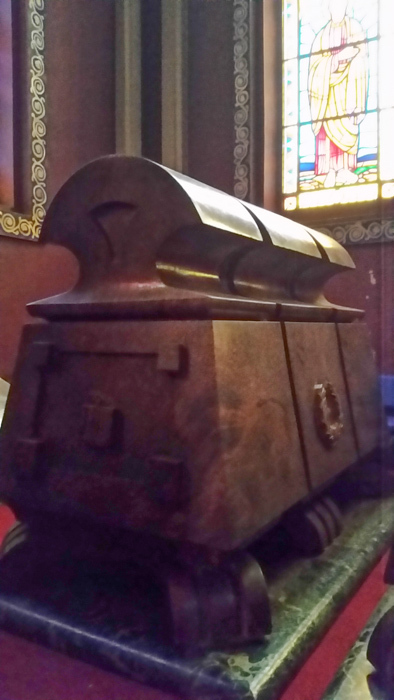 I spoke with a gentleman who said only those who had fasted could enter the church and receive. The Lenten fast is demanding. 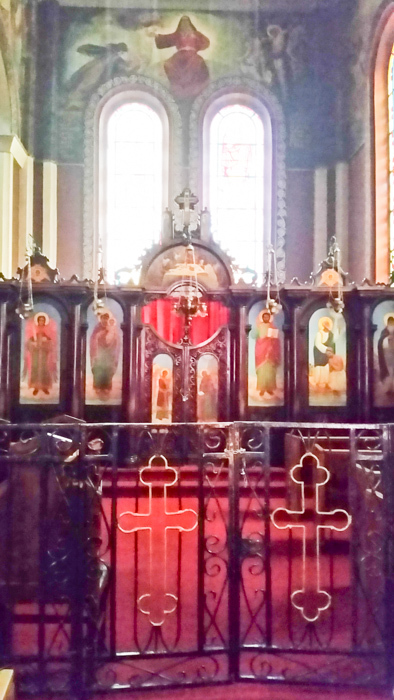 At the church I was enthralled at the devotion the people and how beautifully they chanted. 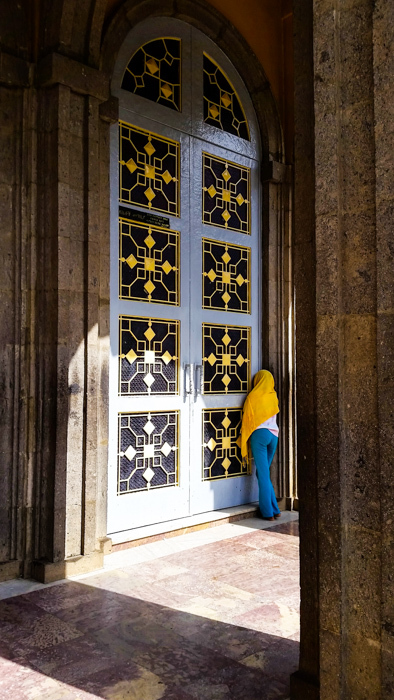 The image of a young man sitting on the street outside the gate with his prayer book and people walking by making the sign of the cross and even prostrating on the street for a few moments captivated my soul. From this church to Saint George Cathedral was a long walk. Since my map was inadequate I was relying on people to help me. People would try with the little English they knew or find someone with a little more command of the language however what was universal was the smile that welcomed me when I approached for directions. 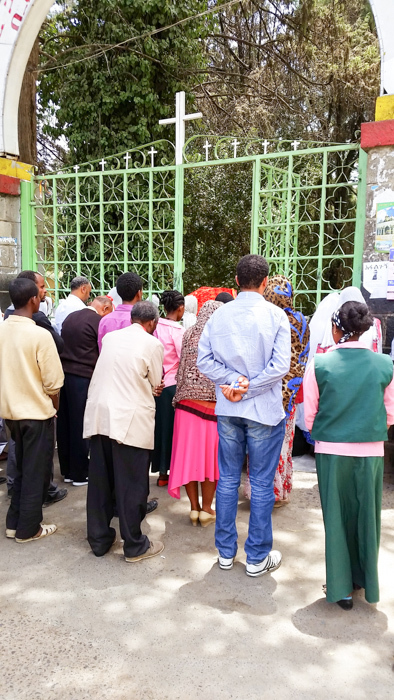 The warmth and genuine hospitality of the Ethiopian people is no exaggeration. 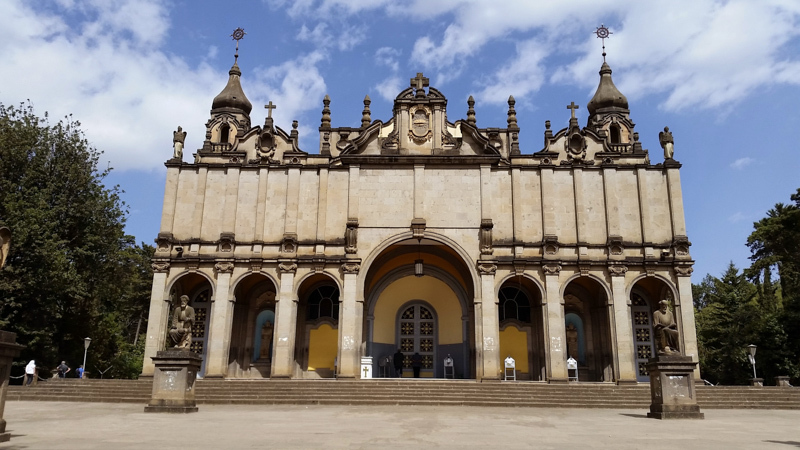 The cathedral was commissioned by Emperor Menelik to commemorate his defeat of the Italians in 1896 through the intercession of Saint George whose icon he took into battle and that icon is housed in the church today. 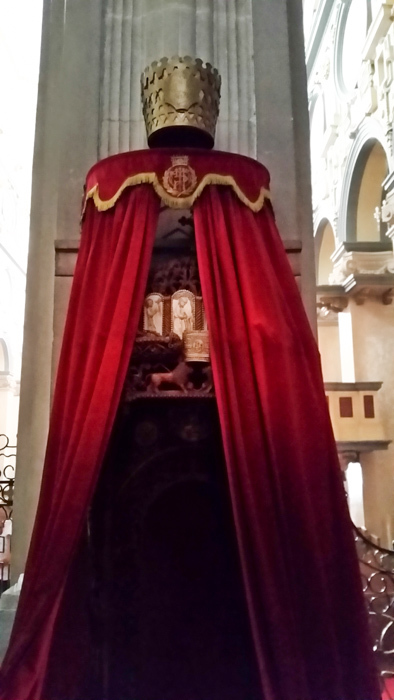 In 1930 Emperor Haile Selassie was crowned here. 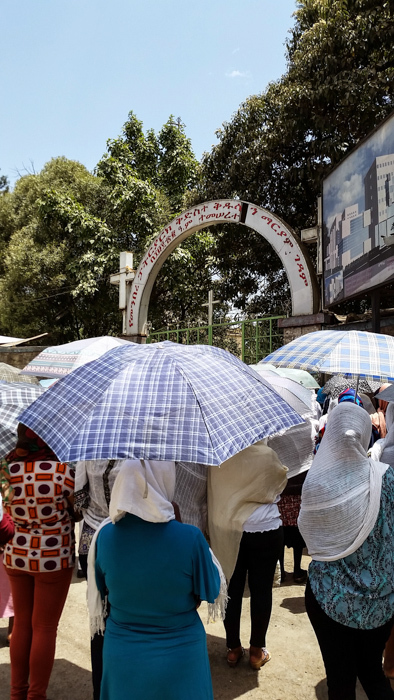 I was unable to enter because Mass was being celebrated however I took great delight sitting in the courtyard listening to the chants and as I walked back to the main square the haunting chants of the Ethiopian Orthodox Mass continued to be heard in the busy streets. 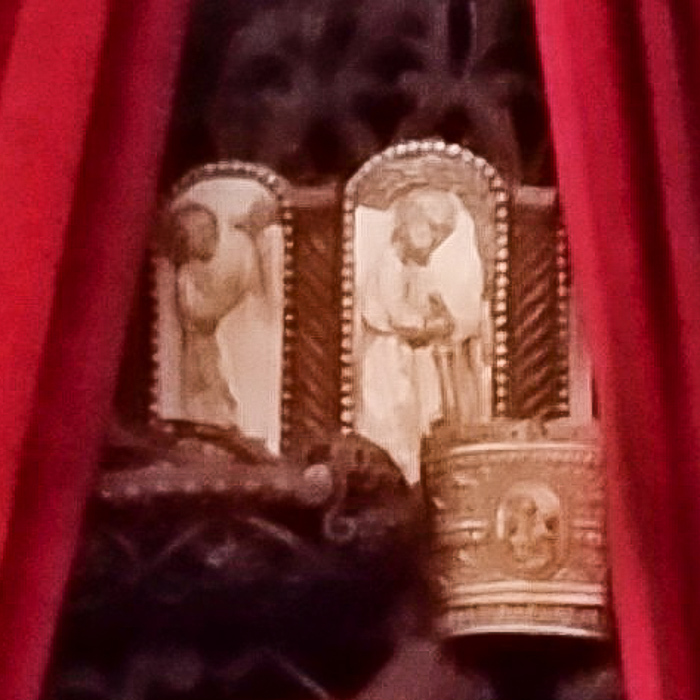 The public nature of worship was so gripping. 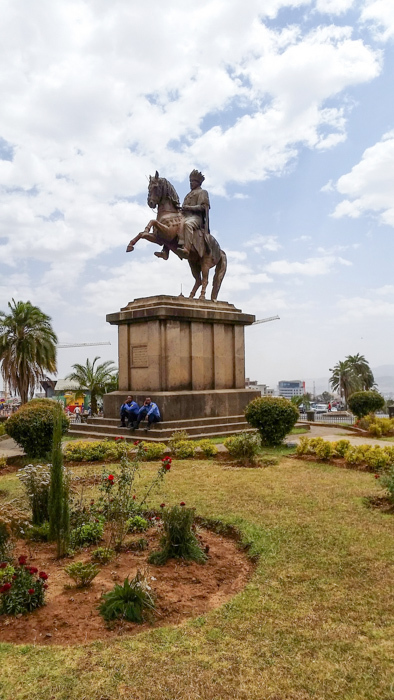 I sat at the foot of the statue of emperor Menelik puzzling over where I was and how to get to Holy Trinity Church. As I sat there people would come up and say welcome. Two young college aged men came up and asked if they could help me. I told them I wanted to go to Holy Trinity to which they said you will need a taxi and I responded I wanted to walk. They said they would walk with me. We had a great conversation about their education and the faith. When they asked me what I did I told them I was a Catholic priest to which they responded we are Orthodox however the Orthodox and Catholic churches are sisters so that made us brothers. We finally arrived at Holy Trinity. Taking off my shoes at the door I entered and was struck by beauty of the brilliant stained glass. 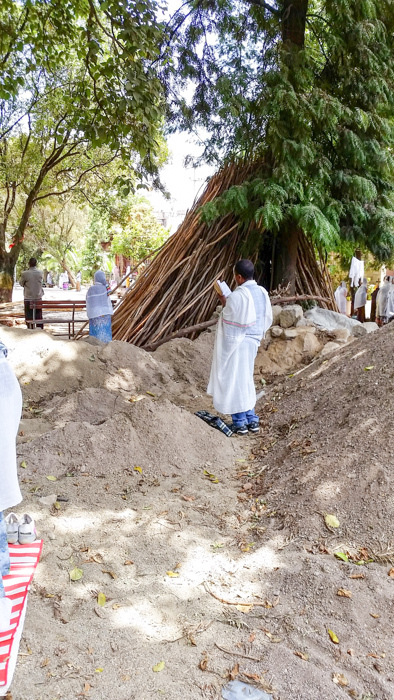 This is the final resting place of Emperor Haile Selassie. 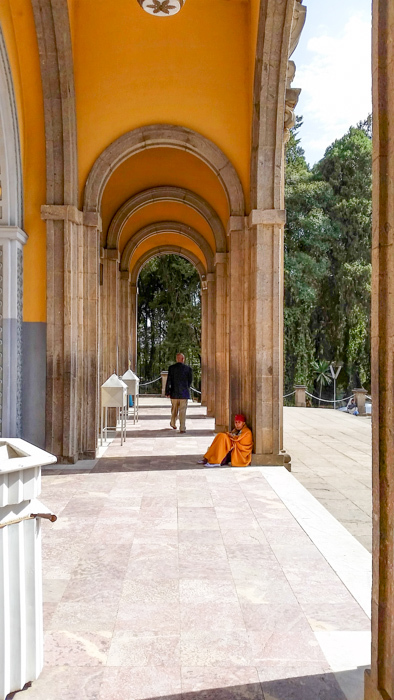 Abd this is where the imperial couple would assist at Mass in the sanctuary from their thrones of ebony, ivory and marble. 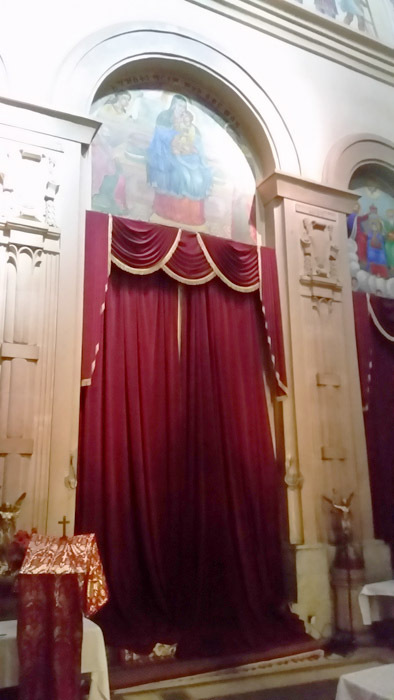 Behind the curtain is the holy of holies where the altar is. When I exited the church I took a wrong turn and walked a long way however it was fascinating because all of a sudden the city behind the parliament building became rural. 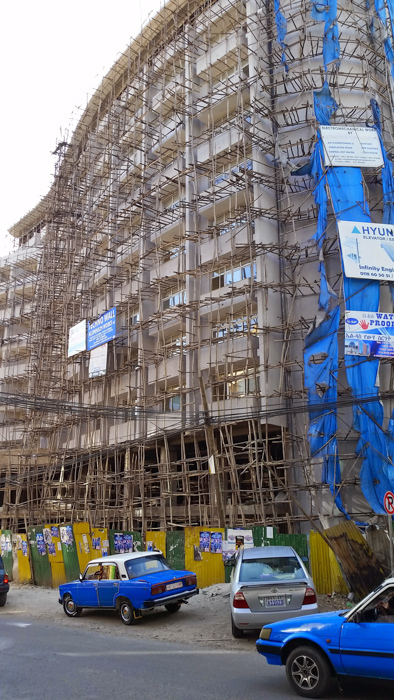 All of this stands in stark contrast to the building taking place. 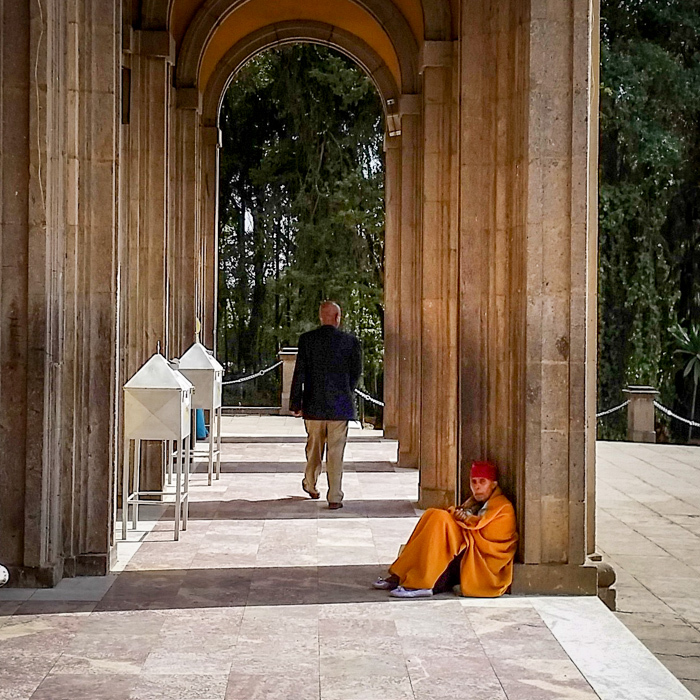 When I realized I was lost again I inquired of a military guard who knew no English however soon there was a crowd of seven people looking at my map trying to help me. 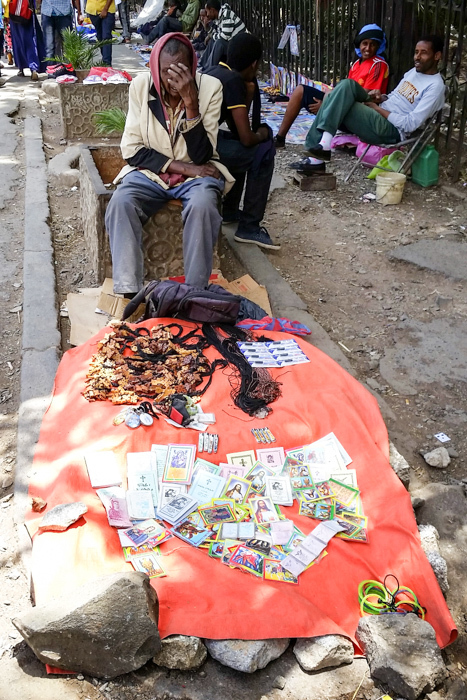 One young man said I should take a taxi and I said I did not have enough money to which he said public taxis are cheap. So he said come with me. I followed him and we walked until we came to public taxi which is really a van with many people. I went to pay but he paid and put me on the taxi. We were off and I did not know where to get off however everyone on the taxi became my friends and made sure I got off at the right place. 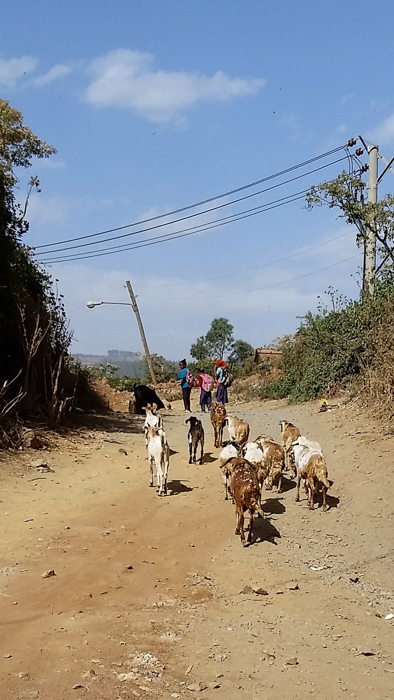 This was a day of discovery not only of some wonderful museums and churches but more importantly experiencing first-hand the hospitality of the Ethiopian people who were so willing to help me find my way through a maze of streets and alleys. 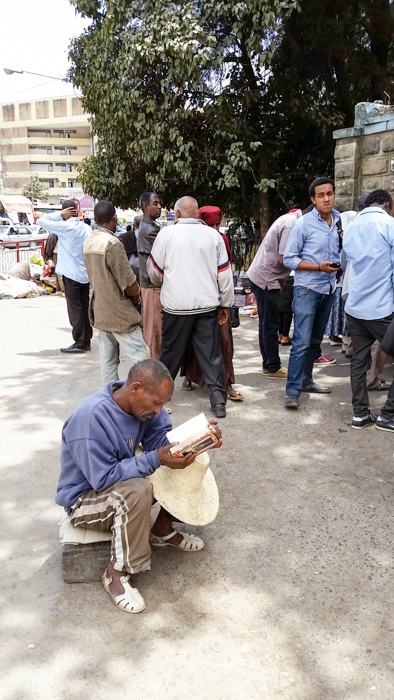 I was lost many times during the day and yet in my wanderings not knowing where to go I was found through the warm welcome of a beautiful people who have professed the Christian faith from almost the beginning of Christianity. 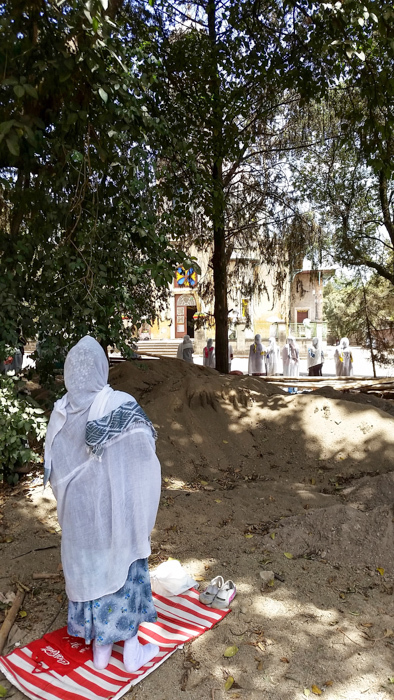 This entry was posted in Faith, Travel and tagged Ethiopia, Haile Selassie, Orthodox, taxi on March 14, 2015 by frjfkauffmann.